The first series about identical twins written by identical twins! On the first day of seventh grade, twin sisters Payton and Emma have been assigned entirely different schedules - for the first time ever. Without telling anyone, the twins switch places: Cool Payton goes incognito as quiet Emma, while mathlete Emma impersonates fashionista Payton. No one - from their new teachers to their clueless classmates - realizes they have made a switch. The twins quickly find out that playing a different role in life can be a lot of fun - and that no one is exactly the person the rest of the world thinks they are. When things start spinning out of control, will it take another twin switch to sort it out? And just how many switches are going on at once? In the end, it's good to have a twin who's got your back as well as your face! Everyone's favorite dynamic duo is back for more twin-tastical adventures! Identical twin sisters Payton and Emma Mills have "traded faces" and caused "twin-dentical chaos" at school and at home. Now they are off to "twin-vade" New York City! Payton's drama club is going to see an Off-Broadway show, and Emma's mathlete team is competing in an elite competition. But Payton never imagines the star of the show would be an old nemesis, and Emma struggles to keep her mind on math when there are so many distractions. (Ox crushing on another girl? The hotel pool!) Then they have to rescue each other and pull off another "twinsformation"... but is the big city ready for Payton and Emma's mixed up mayhem? 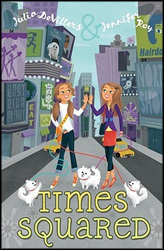 After their adventures in New York City, identical twins Payton and Emma Mills thought life would go back to normal. For Emma that means competing in the upcoming Geobee - and beating her arch-nemesis, Jazmine James! And for Payton it's all about proving to her parents that she can be in both Drama Club and VOGS while keeping up her grades. But then the unimaginable happens: The twins are chosen to appear in a commercial for Teen Sheen shampoo! Suddenly it's "Good-bye, everyday life" and "Hello, Hollywood!" 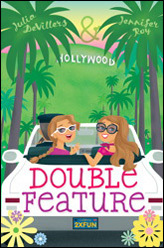 But of course there are surprises in store - specifically, Ashlynn (Payton's camp nemesis), a supercute boy singer, and a cutthroat movie star wannabe...which means more twin-sanity. It's bright lights, swimming pools, movie stars, and twin-switches galore! 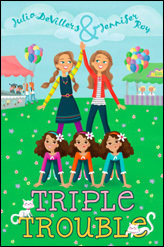 When Payton and Emma take on a trio of triplets at the Twin Festival, it's double - make that triple - the twin-switch fun! Emma and Payton are home from Hollywood, but the drama continues: Not only is the Homecoming Dance coming up fast, but there's someone new in school! Three someones, actually: triplets. Oliver, Dexter, and Asher look exactly the same, dress exactly the same, and—worse—have exactly the same superior attitude. 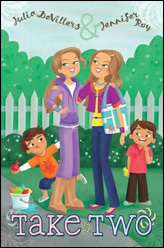 When the triplets mention they're participating in a regional Twins & SuperTwins Festival that has a Tweens Division and twin-related contests, Payton and Emma are instantly interested. Emma's been suffering from competition withdrawal ever since Jazmine James managed to get her disqualified from the upcoming science fair, so she's got her game face on. And once Payton convinces Mrs. Burkle that the festival is perfect for a VOGScast field trip, the whole gang takes a road trip and the games really get going. But attempts to take down the triplets threaten to land everyone in hot water. 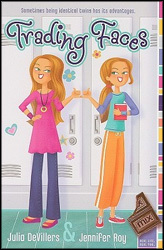 Can Emma and Payton switch their way out of trouble, or are they stuck in a multiples mess?